We now offer commercial van repair services to all kinds of clients in the Ashford area: from independent tradesmen up to fleets. We reliably and expertly resolve all kids of servicing and repair concerns by our combination of experience, training and the wide array of cutting edge Bosch diagnostic kit in our workshop. When your van is your livelihood you need to know it’ll be ready to run. If your van is stuck in a workshop or worse, broken down on a job, you’re not working. If keeping your van moving is the core of your business, why not use a workshop trusted by local tradesmen for over 30 years, with a reputation for excellence, great customer service and the Bosch German car engineering powerhouse behind it? We provide the full range of commercial van repair & maintenance services, using our advanced diagnostic equipment to build a detailed picture of the state of your car and ensuring you receive the most thorough possible repair. With our well-equipped workshop and detailed knowledge of commercial vehicles, we’re more than able to provide a commercial vehicle fleet service that’s second-to-none. Combining our Bosch connections with our credentials as a welcoming local business, we provide a service as thorough and professional as any main dealer garage, and are always happy to hear from other local businesses needing our help. That’s why we offer discounts to local businesses. Whatever vehicle you operate and whatever your van service needs Boxer is the only visit you need to make. Whether you’re bumped or broken, we can help. Our team get to the bottom of engine problems and can skillfully restore damaged bodywork- quickly and without a fuss. That means your vehicle is on the road and earning instead of sitting in a workshop. We offer a thorough and efficient MOT service, with discounts for local businesses. Learn more about our Class 6 & 7 MOT’s here. London’s roads are unkind to vans and commercial vehicles- heavy traffic and delays, long hours idling in traffic and stop-start queuing can cause wear and tear. Ashford’s tradesmen have been coming back to us for over thirty years. With a track record like that, you can be confident your van or vans will be in the safest hands around, whether you’re making your first visit or your hundredth. We consistently surprise and impress our customers with the quality of our customer service and the standard of car their vehicles receive. As a commercial operator you need to ensure your vehicle or vehicles are ready to go the distance before you take on a job. The smallest fault could become a serious problem if left- room for an error that could cost you work and income. A routine, thorough van service from Boxer Motor Works means you know exactly what state your vehicle is in- and lets you catch the smallest fault while it remains a cheap and simple fix. As a Bosch-affiliated workshop with all the connections we need to provide German vehicle owners with an unrivaled service, why not bring your German van to us? We offer great value specialist servicing on Mercedes vans and other German vehicles. 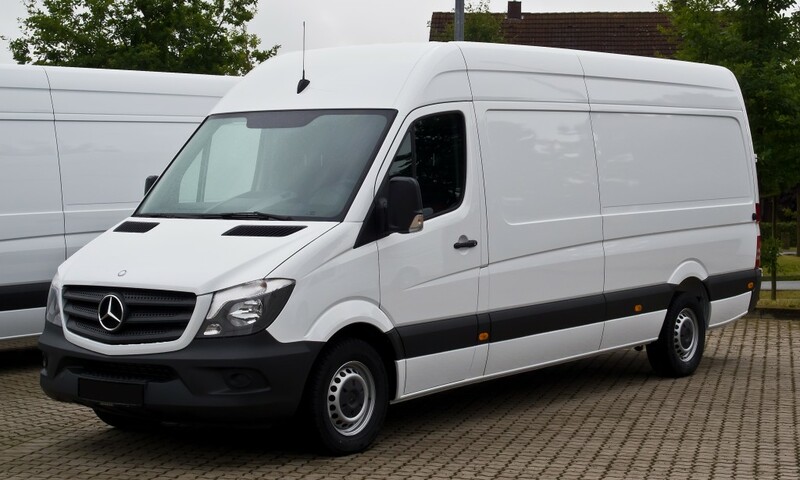 Mercedes Sprinter and other German vans are the most popular in the UK, and for a reason! Luckily Boxer Motor Works are experts at specialist Mercedes van repair and services- contact us today to learn more.